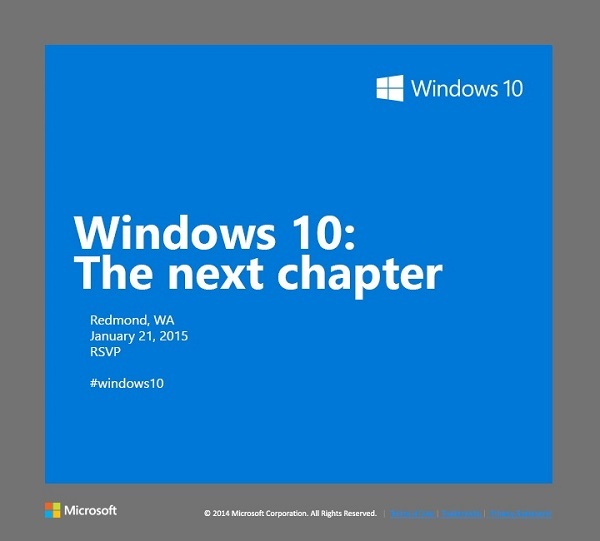 Microsoft has sent out an open Windows 10 invitation to the public to join in on an event at the Redmond campus dubbed The next chapter, scheduled for Wednesday, January 21st 2015 where all the yet to be mentioned and other updated or dropped features of the new OS, Windows 10 will be know. This event will see Microsoft chief Satya Nadella and senior leaders from the Operating Systems Group Terry Myerson, Joe Belfiore and Phil Spencer talk about the Windows 10 consumer experience at the event. There will be a live webcast of the event and we’ll have the links available so stay tuned. Are you ready for what Microsoft will show you next in Windows 10, let us know in the comments?